Perry Street started with a tangy Simcoe IPA (6.9 percent alcohol by volume) followed by a big, creamy Hazy IPA (7.5) with lime and coconut notes from newer varietals Loral and Sabro. Next up is a Citra pale (6) brewed with rich, nutty Maris Otter malt that’s scheduled to arrive in time for the brewery’s Hoptoberfest celebration Thursday and Friday, which will also feature German-style beers and food. Twelve String is serving a lightly piney Simcoe pale (4.6) and a Centennial IPA (6.1) with a lingering, grassy finish. The intense Centennial collaboration by River City and Whistle Punk (5.6) floats floral and citrus notes over a pronounced bitterness. Waddell’s brings back its spicy, Centennial-centric 1.21 Gigahops IPA (6.5). The Grain Shed’s delicately floral Willamette pilsner (5.7) is being joined by a homegrown Centennial version, with an English-style bitter using fresh Fuggles and Goldings also on the way. The Hidden Mother starts rolling out its first two fresh hops this week: a Loral variation on its Pink Peppercorn Saison (5.9) plus an IPA with plenty of pungent, late harvest Simcoe and a little Loral over a Maris Otter base. Coming next are a Citra India pale lager and a collaboration with Yakima’s Bale Breaker using an experimental hop variety. Black Label and Humble Abode both are pouring bigger Cascade offerings (7.8). Big Barn’s lighter, brighter Just Fresh IPA (5.5) is brewed with Cascade, Centennial and Chinook grown at the Green Bluff farm. Iron Goat is readying a Citra IPA and its annual SpoHop community brew, made with homegrown hops contributed by customers. This year’s Alpha Madness (7.5) from Pullman’s Paradise Creek uses oats and lactose to add body and a bit of sweetness to balance more mellow, early harvest Simcoe. In North Idaho, Trickster’s – a finalist at last year’s Fresh Hop Ale Festival in Yakima, which returns Saturday – hopes for a winner this time with its Simcoe and Citra IPAs. Also in Coeur d’Alene, Daft Badger will feature Cascade and Ekuanot versions for its Hop Harvest Fest on Oct. 13. Post Falls Brewing has a small-batch Citra on the way, while in Sandpoint, look for an Amarillo at Laughing Dog. Plenty more are arriving from breweries outside the area. The Lantern Tap House is pouring both regular and fresh-hop versions of the Wanderlust (Cascade) and Thirst Trap (Chinook) IPAs as part of a Breakside event tonight, along with three barrel-aged beers. And the Lantern’s annual fresh hop festival will include a dozen offerings each from Oregon breweries Oct. 12 and Washington breweries Oct. 13, while Fremont’s Fresh Hop Workshop at Community Pint on Oct. 13 will feature several selections from the Seattle brewery. Look for more on those in the next On Tap. 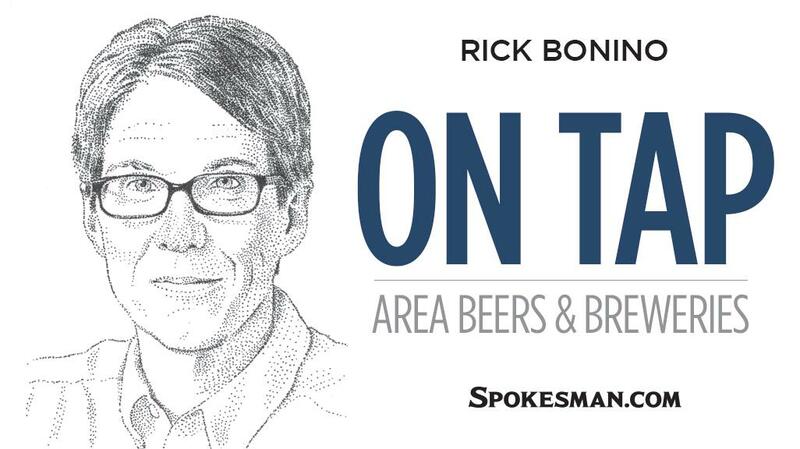 No Drought has become Spokane County’s 30th operating brewery, starting with small-batch, limited-distribution beers from a home-based operation. The initial Grizzly IPA should be out soon; follow the brewery’s Facebook page for details. Twelve String is now open seven days a week, adding Sunday hours from 11 a.m. to 6 p.m. There were no Spokane-area winners in this year’s Great American Beer Festival awards over the weekend. But from elsewhere east of the Cascades, Winthrop’s Old Schoolhouse won gold for Hooligan Stout and silver for Easy Runaway IPA, while Moses Lake’s Ten Pin took bronze for its barrel-aged beWILDering C.
Millwood’s Bottles beer bar/bottle shop is preparing to open its new space at 3223 N. Argonne Road (a block south of its previous location), while Coeur d’Alene’s Filling Station on 5th will add a Post Falls outlet this winter at 306 Spokane Street. Malty Oktoberfest offerings have arrived from the Steam Plant (6 percent alcohol by volume, 12 International Bitterness Units), Black Label (The Marz, 6, 23), Young Buck (Bucktoberfest, 5.5, 12), Mad Bomber (Brett’s Octoberfest, 5.4, 24) and Post Falls (Dr. Roktober, 6.4, 30). Back for fall is Big Barn’s spiced Golden Pumpkin Ale (6.3, 13), made with roasted, farm-grown sugar pumpkins. Bellwether’s Det Norske (6.6) is a red Norwegian-style farmhouse beer brewed with juniper, rosemary, caraway seed and gentian. Black Label’s Candyland Brut IPA (5.5, 69) uses hemp seeds and THC-free terpenes to mimic the cannabis strain of the same name. Perry Street is pouring a light lager variation on its standard pilsner dubbed ’Merica (4.2, 3). A sour night at The Flying Goat today starting at 4 p.m. will include three offerings each from pFriem, Firestone Walker and New Belgium. Iron Goat’s weeklong Oktoberfest continues through Sunday with Goatoberfest and Ach du Lieber Bock beers accompanied by German-style food. Eastern Oregon’s Ordnance Brewing will be featured for the 40th brewer’s dinner at Hills’ Restaurant on Sunday at 6 p.m. Cost is $59 for the four-course meal (includes tax and tip); call (509) 747-3946 for reservations. River City’s monthly First Friday party Oct. 5 will include a Halloween costume contest along with art, live music, food and $4 beers. Steady Flow Growler House celebrates the third anniversary of its original Spokane Valley location Oct. 6. Published: Sept. 25, 2018, 3 p.m.